Together, parents and children will giggle their way through I LOVE YOU, FUNNY BUNNY as they discover the fun and loving parts of their own relationship. 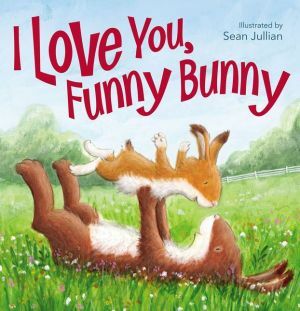 Illustrated by Sean Julian, I LOVE YOU, FUNNY BUNNY is a padded cover board book perfect for sharing at bedtime or any time of day. With read-aloud rhymes and adorable illustrations, readers will have fun turning the pages to discover all the reasons this mother bunny loves her sweet funny bunny.